Every year, modified or new tax laws impact individuals, businesses and tax professionals. Since the 2016 tax season is approaching, take some time now to refresh yourself on some recent tax law adjustments. In 2014, the penalty for not having health coverage was only 1 percent of a person’s income or $95, whichever was greater. However, in a continuing effort to encourage people to have adequate health insurance, the federal government has made the penalty for lacking coverage in 2016 much higher. This penalty equates to either 2.5% of a person’s income, or $695 per adult—whichever is higher. This constitutes a 731% increase since 2014. Some circumstances qualify people to be exempt from the penalty. For example, certain life events, claims of hardship and group coverage can spare some taxpayers from paying the fee. The limits on contributions to 401(k) plans experienced a slight cost of living increase in 2015, which has remained the same for 2016. 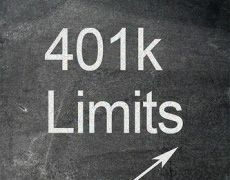 Individuals may now contribute $18,000 per year to their plans, an increase of $500 over the 2014 limit. For taxpayers ages 50 and older, the limit on catch-up contributions also increased from $5,500 to $6,000 in 2015, and remains unchanged for 2016. Other retirement plans, including Roth IRAs, experienced changes on contribution limits. The AGI phase-out range for taxpayers making contributions to a Roth IRA for married couples filing jointly as well as singles and heads of household both increased by $1000. Tax professionals should keep these changes in mind when they advise clients on how to prepare for the upcoming tax season. Workers still have time to notify their employers that they wish to increase their retirement plan withholding amount. Income received for the care of a foster child is generally tax-free, which has been the case for years. However, now income for the care of others — including people who are related to the caregivers — is also tax-free. Individuals who offer non-skilled medical care for others with physical, mental or emotional disabilities may qualify for this type of tax break. Since the money is tax-free, however, those funds can no longer help individuals take a tax advantage of the earned income credit. Graduate students in taxation programs are not the only ones who should research these tax law changes. By keeping up with changes in tax laws, you will not only benefit yourself during filing time, but you can also help others to make sure they report their taxes correctly and to their advantage.